As Texas took its current shape, the space changed from an extensive, unexplored, and sparsely settled frontier under the Spanish Crown to its iconic and easily recognizable outline today. Mapping Texas: From Frontier to the Lone Star State traces the cartographic history of Texas from the sixteenth to the nineteenth centuries, through 26 maps, split into seven different subjects. Mapping Texas explains how centuries of change shaped our perspective of Texas from a distant frontier to the Lone Star State, all with the understanding that in order for land to be claimed, it needed to be mapped first. This year marks the 20th Anniversary of the George H.W. Bush Presidential Center and a special Bush Library exhibit will celebrate the three entities of the center: the George H.W. Bush Presidential Library and Museum, The George H.W. Bush Foundation and the Bush School of Government and Public Service. Some of the main features of the exhibit include photographs, awards, numerous artifacts and more. The George Bush Presidential Library and Museum is excited to welcome its newest exhibit, entitled: "The Legacy of Ranching: Preserving the Past, Embracing the Future." Through a partnership with the Department of Animal Sciences at Texas A&M University, this exhibit celebrates the historic ranches of Texas and their ability to adapt through changing natural and business environments.The commitment and innovation of the families who built these ranches have helped them to preserve their legacies. From early Spanish Land grants to the present day descendants, the exhibit highlights these strong ranching legacies and examines how the livestock industry helped shape the state of Texas. Recordings of oral histories, an original video narrative, hands-on educational activities, and a historic chuck wagon centerpiece are all included in this impressive new exhibit. Don’t miss the opportunity to share the legacy of Texas ranches with a new generation and learn about the sheer fortitude of Texas ranching families. Financial support for this exhibit was provided by Capital Farm Credit, Houston Livestock Show & Rodeo, Texas A&M AgriLife Research & Extension, and the Texas A&M Department of Animal Science. This exhibit will be on display from March 6, 2017, through January 7, 2018, in the Ansary Gallery of the George Bush Presidential Library and Museum. The attack on Pearl Harbor was the turning point of the 20th Century. Life world-wide would never be the same. No nation could remain isolated from the actions of others. For Americans, it was galvanizing. People had a “unity of purpose”. Boys became men, and men became heroes. Men who would become future Presidents all felt the call to take action. Many were already in military service and in the Reserves. Those who could, enlisted. Those who were in government found effective ways to engage in the war effort. The paths they chose would influence the course of their lives for years to come. This exhibit consists of digital images, documents, an interactive station and a video which shows President Roosevelt’s “Day of Infamy” speech. The exhibit is located in the Presidential Rotunda and will be on display from now through December 31, 2016. For the 15th anniversary of the September 11 attacks, the George H.W. 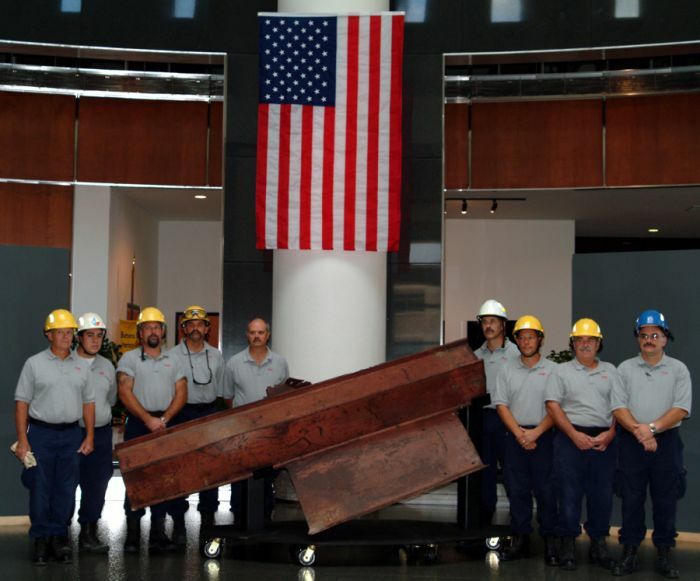 Bush Presidential Library and Museum will feature a unique exhibit featuring a section of steel from the World Trade Center towers donated by the Texas Engineering Extension Service's elite urban search and rescue team, Texas Task Force 1. The steel structural beam weighs in excess of 2,000 pounds. The exhibit, Remembering September 11, will showcase photographs, posters, a rescue uniform, stuffed search and rescue dog, artifacts and personal effects from the state's renowned urban search and rescue team. The exhibit will be on display from September 2 to September 29, 2016. 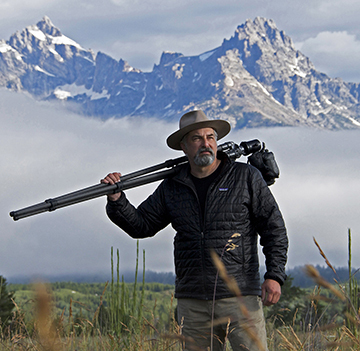 Centered around the centennial anniversary of America's National Park Service in 2016, the exhibit celebrates the important role that the visual image has played in the history and creation of our national parks. The core of this exhibit is the timeless black and white photography of American photographer Mark Burns. These photographs were taken from 2011 through 2015 with one iconic photograph from each of America's 59 national parks. A portion of this exhibit will also pay tribute to early painters and photographers.